The A9 processors inside Apple's new iPhone 6s and iPhone 6s Plus come from two different manufacturers and appear to perform differently. And thus "Chipgate" is born. As iPhone 6s owners freak out over whether their new smartphones might be saddled with a performance-deficient chip, an app that makes it easy to identify the type of chip inside the new smartphones mysteriously vanishes from the App Store. It’s enough to get “Chipgate” conspiracy theorists churning, but the reality is a little less dark than all that. Lirum Labs, the developer of the app that let iPhone owners quickly identify whether they had the good TSMC chip or the less-good Samsung version, has been talking to users on Twitter since the app disappeared, and it turns out that they pulled the tool due to some compatibility issues with newer hardware. While Lirum Labs’ decision to pull its app caused some people to assume Apple purged it from the App Store, Chipgate likely isn’t going away anytime soon. The Samsung chip reportedly drains batteries faster, runs hotter and lags the TSMC chip in key performance metrics. As word gets out that some iPhone 6s units come with an anemic Samsung chip inside, Apple faces the very real possibility of a stampede of users wanting to exchange their phones. Lirum says a brand-new version will be out in a few months. We’ve contacted the company for a comment and will update if we hear back. All of this came about due to reports that some iPhone 6s phones have significantly worse battery lives than others. 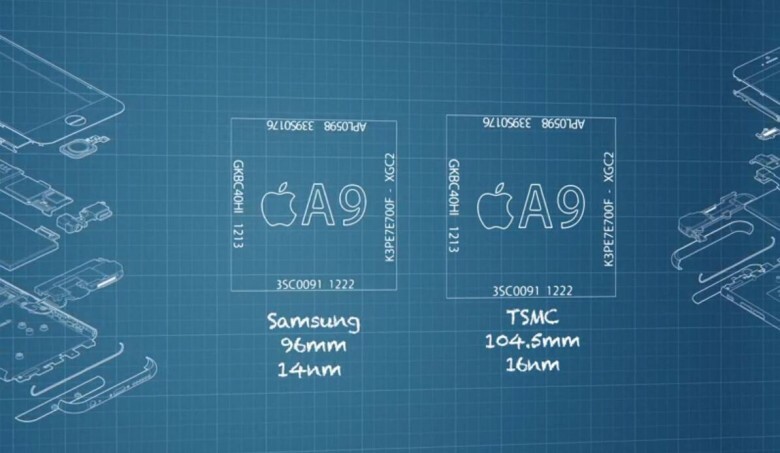 Apple outsourced development of the handset’s A9 processor to two manufacturers, TSMC and Samsung, and investigators discovered that the Samsung-built chips are causing the power drain. You can learn more of the details in YouTube user Austin Evans’ instructive video below.